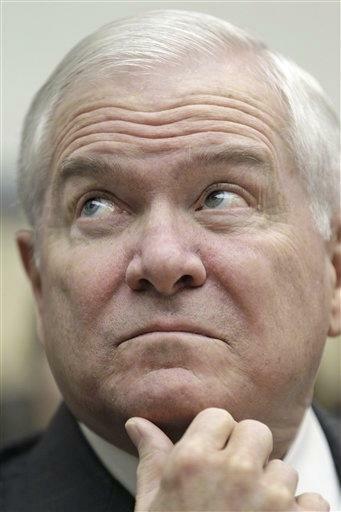 WASHINGTON (AP) - Defense Secretary Robert Gates told a House committee Wednesday that the Obama administration is interested in having more military personnel in Iraq after 2011 than the roughly 150 who are currently scheduled to remain. The rest of the U.S. force, which now numbers about 47,000, is leaving under a 2008 agreement with the Iraqi government. In testimony before the House Armed Services Committee, Gates stressed that unless the Iraqis ask the U.S. to renegotiate that deal, the pullout will proceed. "There is certainly on our part an interest in having an additional presence," Gates said. "And the truth of the matter is the Iraqis are going to have some problems that they are going to have to deal with if we are not there in some numbers." He mentioned gaps in Iraq's ability to protect its own airspace, to meld its intelligence systems and to provide for its own logistics and maintenance of military equipment. Under the troop pullout agreement that the administration of George W. Bush signed with the Iraqi government shortly before Bush left office, all U.S. troops are to be out of the country by the end of this year. The only exception is 150-160 uniformed officers who are to support Iraqi training and military equipment purchases; Gates said they would work with several hundred contractors in a civilian-run Office of Security Cooperation in Baghdad.